Jerry Blundy began an auto racing career that saw him acclaimed as one of the finest drivers in the Midwest as a 22-year-old stock car driver at the old Mt. Hawley Speedway in Peoria. He went on from there to compile a national reputation in the fast and dangerous sprint cars on dirt tracks from coast to coast. He was one of racing's busiest drivers and is considered to be the Midwest's winningest driver ever during a 31-year career on state and county fair ovals, in all winning over 200 races and 10 championships. Racing in all divisions of competition, Blundy campaigned from California to Florida. 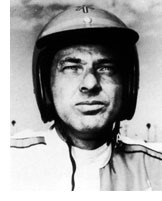 Among his achievements was winning the IMCA midget title in 1969, the IMCA sprint car crowns in 1970 and 1971, the Mississippi Valley Spring Association title three times and the Heart of Illinois sprint championship in 1952 at Exposition Gardens. During one stretch he won eight consecutive sprint car races on mile dirt tracks. A native of Brimfield now living in Oak Run near Galesburg, he was voted the finest sprint car driver of all time from the Peoria area and National Speed Sport News, racing's foremost publication, has installed him as a "racing legend." He also has been voted into the National Sprint car Hall of Fame and Museum at Knoxville, IA. 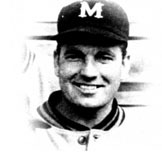 Stonebock, one of the most respected baseball coaches in Illinois history, coached three Manual High School teams to Illinois State Titles. Stonebock, a former minor league star and semi-pro catcher, was a stern taskmaster and a brilliant teacher of fundamentals who made Manual a state power year after year. Taking over the baseball reins in the late 1940's, he won 448 games while losing 174, winning his first state championship when his Rams won all 25 games it played in 1950. He came back to win a second state title in 1965 and followed this up with a third in 1968. During his long career at Manual, his teams won 14 district, ten regional, and seven sectional championships.